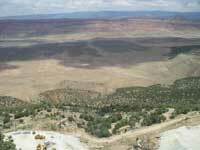 Piñon Ridge would be the first new uranium mill in the U.S. in more than a quarter century. Energy Fuels is developing this new uranium mill and is a uranium mining company with offices in Naturita, Colorado , Lakewood, Colorado, and Kanab, Utah, and uranium properties throughout the Four Corners area of Colorado, Arizona and Utah. 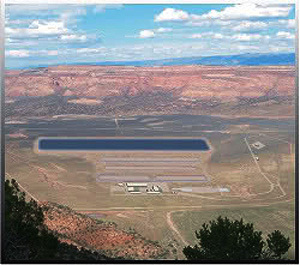 On November 18, 2009, Energy Fuels Resources Corp. submitted an application for a radioactive materials license that is required before the company can begin construction on a proposed uranium mill in Montrose County. The proposed site for the mill is approximately 12 miles west of Naturita in the Paradox Valley. The proposed mill would process up to 500 tons of ore per day. State of Colorado Radioactive Materials License approved January 5, 2011. Montrose County Special Use Permit approved September 30, 2009.